The Evans Onyx - B16ONX2 - Tom Head - 16 Inch is a double-plied drumhead with a 0.19 mm strong film, that features a fine micro lacquer. This special lacquer provides not only a great black look but offers additional protection for the head. 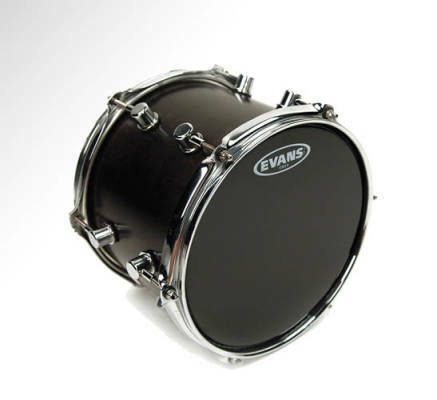 The Evans Onyx - B16ONX2 - Tom Head - 16 Inch produces a low to mid frequency range and has a very balanced sustain.